Product prices and availability are accurate as of 2019-04-23 14:45:08 UTC and are subject to change. Any price and availability information displayed on http://www.amazon.com/ at the time of purchase will apply to the purchase of this product. The Beretta Full Mesh Vest provides shooters with maximum movement and padded patches for shooting comfort. The mesh is strategically located in key areas to manage moisture on the hot days. The wide size range makes it a perfect fit for any shooter. 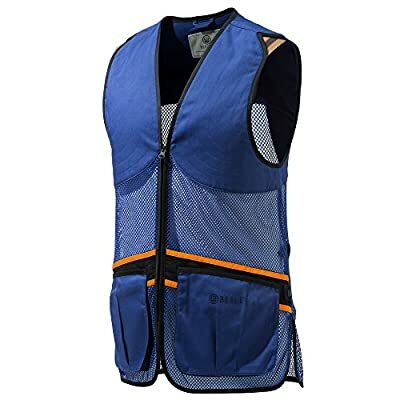 Equipped with elastic shoulder inserts for ease of movement, cotton padded shooting patches, breathable mesh on front and back, large front-loading pockets for a storage, towel/earmuff binding on back, inner drawstring regulation for sizing. The Beretta logo is stitched on the back.